Producing and delivering natural gas and electricity is an inherently dangerous business, for many obvious reasons. The potential for fire, shock, or explosion is always present, which means utility companies must adhere to strict safety standards and regulations to ensure the protection of consumers and employees alike. 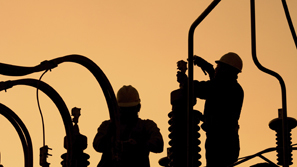 But all too often, gas or electrical accidents occur because of negligent or reckless actions by utility companies or their contractors, resulting in serious injury or death. Such injuries can include burns, electrical shock, trauma, muscle or nerve damage, cardiac damage or arrest, and brain damage. Causes may range from negligence to improper maintenance to defective products. The gas company may have punctured its lines or the electric company may have failed to inspect low-hanging power lines. These are catastrophes waiting to happen.